Peter B. Skelos joined the law Firm of Forchelli, Deegan, Terrana when he retired from the judiciary on July 31, 2015. He directs the Appellate Practice Group and is a member of the Litigation Practice Group. Since leaving the bench, former Justice Skelos has also served as a New York State Supreme Court Special Master in significant commercial litigation. In addition to his law firm practice, Skelos hears cases as highly regarded neutral on NAM’s (National Arbitration and Mediation) New York Metro roster for which he has been designated as a Top Ten Mediator and or Arbitrator in the New York Law Journal’s Annual Survey of Readers. He has also been designated a New York SuperLawyer in appellate practice. In November 1994, Skelos was elected to the New York State District Court. He served as president of the Nassau County District Court Judges Association and vice president of the New York State District Court Judges Association. He was elected as a Justice of the Supreme Court of the State of New York for the 10th Judicial District in November 1998. Effective January 1, 2002, Skelos was appointed as an Associate Justice of the Appellate Term of the Supreme Court. Effective April 26, 2004, Skelos was appointed by Governor George Pataki as an Associate Justice of the Appellate Division, Second Judicial Department—one of the busiest appellate courts in the country. In December of 2007, Skelos was appointed by Governor Elliot Spitzer to be a member of the constitutional court of the Appellate Division. In 2012, Skelos was found “Highly Qualified” for the position of Justice of the Supreme Court by the New York State Independent Judicial Election Qualification Commission. He was reelected to the Supreme Court and re-designated to the constitutional court. Judge Skelos was known for his incisive questioning from the bench. He is also an author of numerous scholarly opinions. Skelos has received awards for his exemplary public and professional service from many professional organizations. In 2015, the Bar Association presented Skelos with the President’s Award for his leadership on behalf of the Lawyers Assistance Program. Skelos was elected to the Board of Directors in 2015. 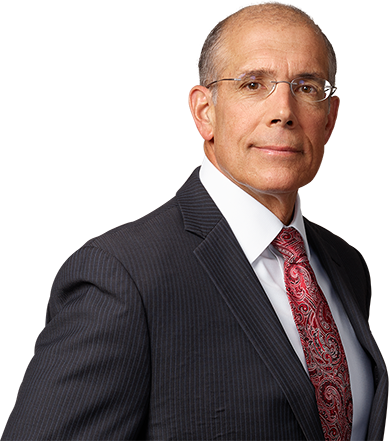 Judge Skelos was an editor of the two-volume practice guide, Civil Trials in New York (West Group) and authored Chapter 7 – Evolution of the Labor Law: A View from the Bench, Construction Site Personal Injury Litigation, 2d ed. (New York State Bar Association Publications). He regularly serves as a panel member at continuing legal education programs and was a member of the adjunct faculty at LIU-Post. Skelos Presents CLE at the Spring Conference of the ABA Section of Dispute Resolution in Washington D.C.